We're proud of our customer service. Below are a few recent reviews. I am way overdue on my review but I love my kitchen so much that I cannot let this go by. Joey Olson was my main contact and designer at Mosaic. I had a wish list which he and Alex collaborated with me on, me wanting all that a very large kitchen could offer in a medium space. I am easily overwhelmed by too many choices. They got a feel for what my vision was and then limited many of my choices to four and five and kept within a decent price range. The one item I had to have was a granite countertop that looks like a piece of VanGogh art. That and a pullout drawer for the dog dishes, knife drawer, trash cabinet, storage, bar, well, the list went on and on. Great eye for details in the accessories for cabinets, backsplash, knobs, pulls, light switches, paint colors and lighting. Joey pretty much held my hand through the entire process as we tore out a wall, moved an entry door from the garage into the kitchen, and gutted the entire kitchen. Joey designed the bar area including drawers and wine storage. What a transformation. Others had told me I could not have an island as large as I now have. Very pleased with everything from start to finish and the help from both of the guys and Technocasa Construction. The contractors we chose for our bathroom renovation emphatically recommended Mosaic, and now I know why. What an all-around professional team. Jennifer helped pick out great tile, and the other staff were friendly and accommodating as we chose samples to review at home. We received accurate estimates for volume and stayed under budget as well. As others have stated, the pick-up area isn’t glamorous, but what warehouse is? There’s grout dust and pallets everywhere. It is apparent that most people who visit the back are contractors and know how the whole thing works already. However, the guys in the back room were friendly and quick to get our product loaded once I stopped at the desk and signed for the material. It was a relief to be in such good hands. I will definitely be back! My husband and I went to the store to find tile for our backsplash. Every other location had the same boring stuff. Not this place! That’s when we were blessed to meet Andrea. She is an absolute doll. Not only did she know what she was talking about, but she’s so incredibly sweet. When we finally got around to ordering the tile, I was just chatting with her and mentioned we got a new dining table and my new hunt was for a light. She asked for a photo of the table and showed me a gorgeous light on her computer. It was perfect! I spent countless hours looking for something perfect to hang over the table when I should have just asked Andrea. Lesson learned – she will be my go to from now on! My contractor suggested I use Mosaic for my winery and home renovation projects. We are so glad he referred us. We had a great experience with designers Ana and Pia on three different projects. Ana designed, sketched, and created a storyboard for our projects with lighting and decor ideas. Pia suggested a dramatic backsplash tile for our winery that always gets great customer comments. Our three projects were very different from midcentury modern to industrial farm style and old world. Ana selected great wall and floor tiles, lighting, and the perfect mirrors for the spot on look and feel that fit our budget and commercial durability needs. We have worked with designers in the past, but none were better than Ana in design skills paired with their company’s products and services. 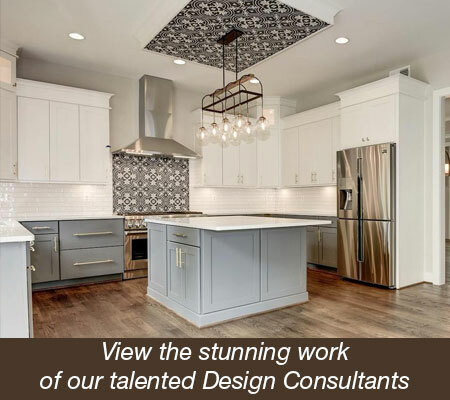 Her storyboard saved us countless headaches and time with our subcontractors and contractor. She was even able to find the perfect pendant lights to pair with our Italian Murano over-the-top chandelier that I had spent months finding. Please extend our thanks and appreciation to Ana and Pia in their roles in making our winery and home beautiful. Mosaic is fortunate to have these talented professionals on your staff. Great experience with Jan at Mosaic Tile. The showroom was recommended by my contractor. I was amazed at the selection, but what was most impressive was the level of service I received from Jan. I came in with a picture of the concept I was trying to achieve for my shower update. Jan was very patient, showing me several options, with pros and cons. She gave her honest opinion and was never pushy. I’m extremely pleased with the outcome and now will update my floor. We would love to hear from you. 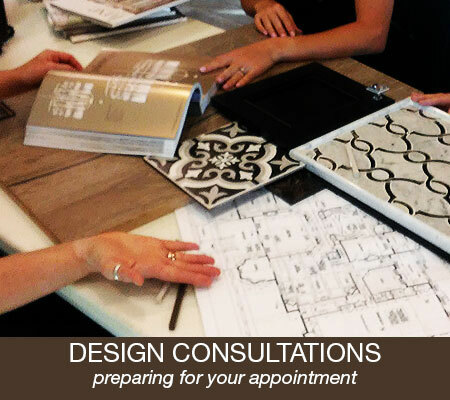 To submit your experience with Mosaic Home Interiors, click here.